The region known as Central America & Caribbean is really several sub-regions that lack any unifying elements other than they are largely tropical and warm. This is a catch-all category for basically anywhere someone may vacation. Beyond that, all of the countries here are independent and different. Most speak Spanish (but not all) and nearly all of them have had to deal with a colonial past to some degree. But looking beyond the palm trees and you’ll find some very interesting planes in Central America & Caribbean. Many of the destinations in the Central America & Caribbean region can be explored on a cruise, but one day in each place doesn’t do it justice. From the incredible beaches of Antigua, Barbados, and the Dominican Republic to adventure destinations like Costa Rica and Belize, there’s a wide degree of activities here. We love our beach time, but also love scuba diving in Saint Lucia and Grenada. Perhaps this region is near and dear to our hearts because we got married here all those years ago. It’s a place where we found love and still love to go. When the weather turns cold, we head south! The ultimate guide to Half Moon Cay excursions covers activities on the private island, along with information about lunch, tips, and fun facts. There is also a Half Moon Cay map to plan your adventure. 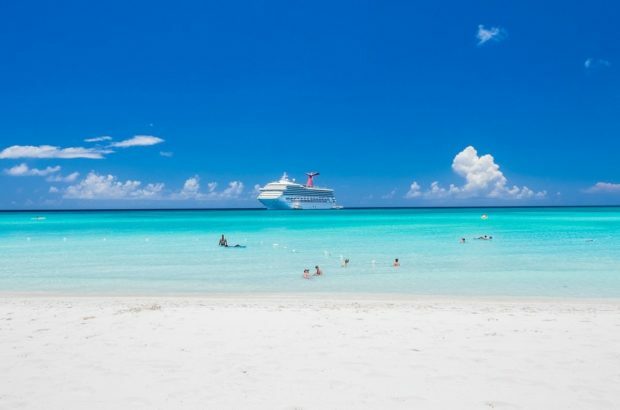 Shared by Holland America and Carnival Cruises, Half Moon Cay, Bahamas is a favorite beach stop for many people. 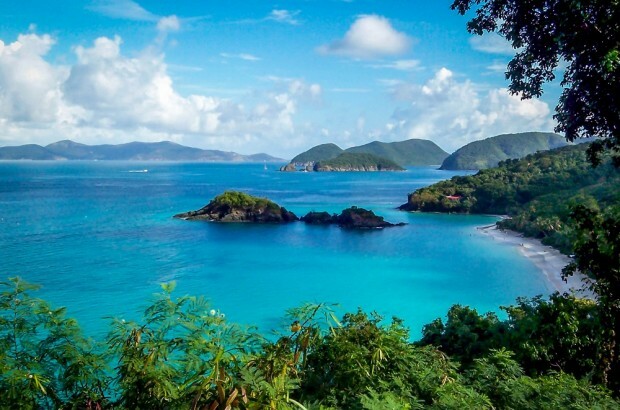 Instead of taking a shore excursion, we researched how to get to Trunk Bay from St Thomas on our own. It was a great day with great snorkeling.